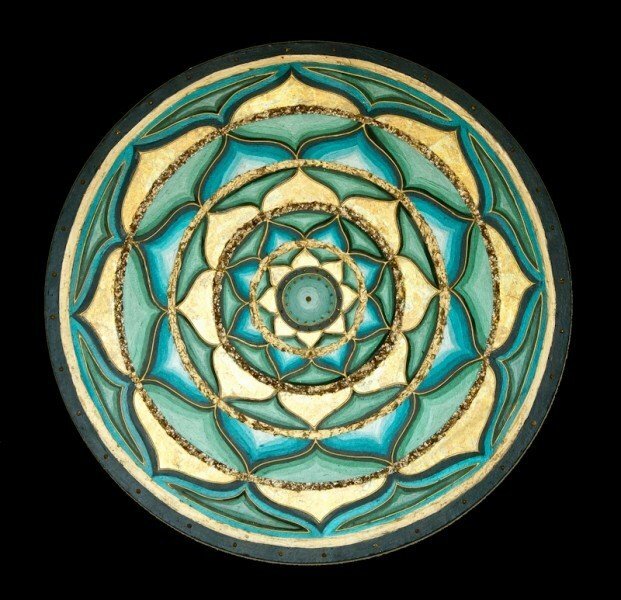 Round Forest | Artwork – Store – Tammi B. Ph.D.
Hand painted mandala 20" round. Acrylic, mixed medium, modeling paste, gold leafing and Swarovski crystals. A round canvas created with the intention to bring love, respect and healing to the rain forests.